The G6 frameset is “built from the inside out” using BH’s Hollow Core Internal Molding Technology. BH says it prevents bubbles and imperfections to improve strength and weight. The G6 is constructed with the company’s highest-grade carbon fibre, designated F1 grade to further reduce the weight of the frameset. BH introduced more aerodynamic features. The integrated seatpost now has a Kamm tail to keep the frame UCI legal and bring the overall weight of the bike right down. The fork is tucked part of the way into the headtube, while a broad aero downtube continues to dominate the frame. In contrast, the seat stays are very thin, designed to reduce road vibration. The forks have a tapered steerer, with all cables internally routed. One has the option for both mechanical and electronic groupsets and the oversized bottom bracket utilises the new bottom bracket, being the 386 that was developed in partnership with FSA. This increases frame stiffness and increases power transfer. Bold logos announce the brand name and they fit comfortably on the massive aero tubing. The overall presentation is clean and sharp with some pleasing lines. 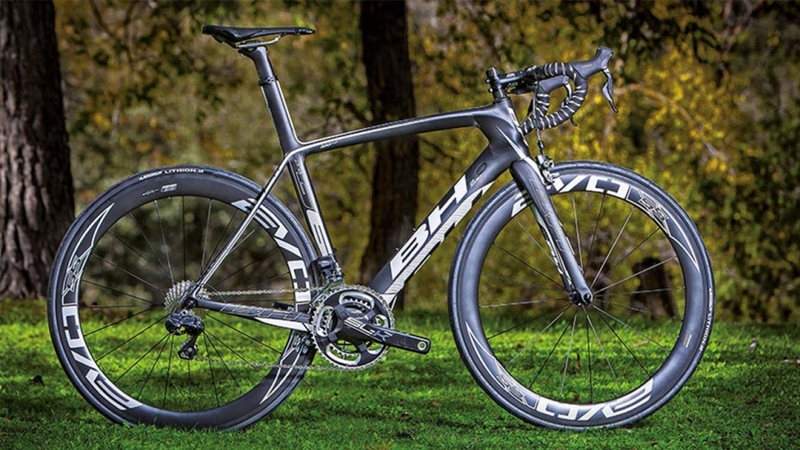 The G6 is a bike that must be raced! It rides beautifully once you get in the drops, flatten your back and go. It is also a bike one can sit up on and relax to take in the surroundings. It’s smooth, fast and sure footed. All of the fat aero tubing plus a measure of BH’s engineering made for a stiff and efficient bike. It was easy to ride this bike fast and it responded nicely to any acceleration, in or out of the saddle.